Luke Million is a producer form Adelaide, Australia best know for his songs Arnold, Light & Sound, Midnight, Fear The Night and Archetype. Luke Millions rendition of the 'Stranger Things' theme song. Tijuana Cartel blend layers of rich, intricate atmospheric soundscapes with laid back rhythms and luscious vocals to form an electronic beats tapestry that will cut through to your very soul. Written, recorded and produced by Billy Fox in his Sydney based home studio, the song is a blend of emotive lyrics and lush electronic production, and showcases Billy’s exceptional songwriting skills, striking comparisons to James Blake, Sam Smith, and Mike Snow. 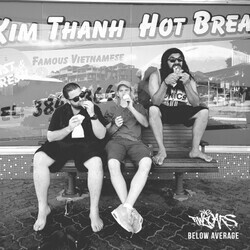 The Funkoars are an unconventional unit of universal friendship hailing from Adelaide, South Australia and taking the physical form of Trials, Sesta & Hons. The first offering is the brand new single “Below Average”, an above average song where the 'Oars remind themselves and the listener that it’s not only ok to be a failure at everything you attempt, but it's encouraged. Aus Hip Hop powerhouse duo MHRC. Mr Hill & Rahjconkas newest offering. Australian Rock 'n' roll outfitBlackDiamond are: Asarri (vox), Acey (lead), J-Roll (rhythm), Gritz (bass), Hollywood (drums). Australian Hip Hop duo hailing from Sydney.New Single "Telescope" available via iTunes October 18th - Pre-Order Available NOW! Mr Hill & Rahjconkas newest offering showing a new direction to what is the norm of Aus Hip Hop. New Single "Scouts Honour" available via iTunes October 18thNew EP "96% Love Songbook" available via iTunes October 28thPre-Orders Available soon! Sarah McLeod's newest offering showing a new direction and love of an era gone by.